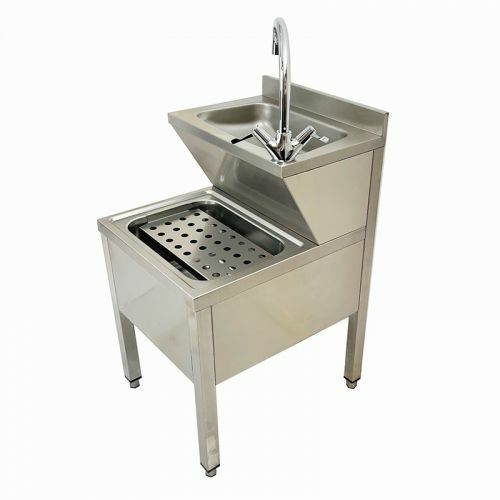 We supply from stock a range of stainless steel cleaners sinks and bucket sinks in wall-mounted or floor standing models, as well as a stainless steel janitor’s sink unit that acts as a combined mop sink and hand wash basin. 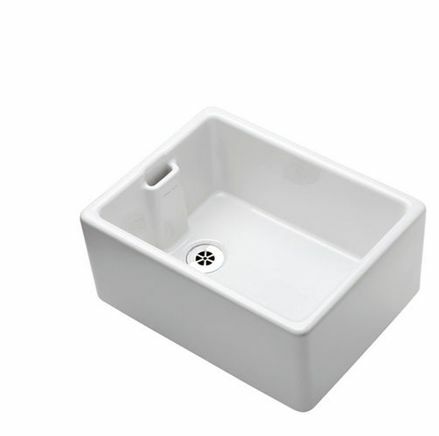 We also supply high-quality Armitage Shanks Birch cleaner sinks in two sizes, Armitage Shanks Alder cleaners sinks, and a range of Belfast sinks which often double up as laundry sinks. 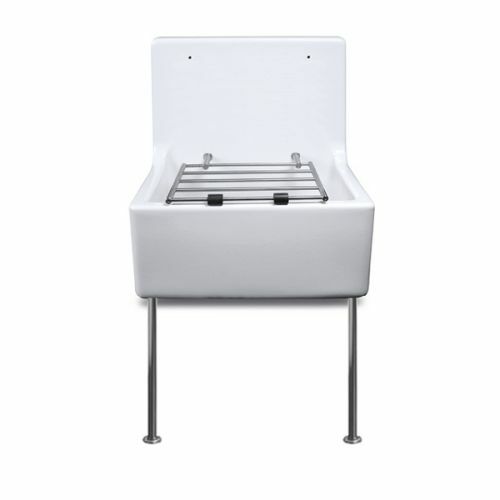 We sell the legs and brackets for Belfast Sinks in two sizes, adapting to your requirements. Cleaners sinks are primarily designed for the filling of mop buckets and subsequent disposal of dirty water, but that’s certainly not all they’re good for. While sometimes tucked away in janitor’s cupboards or used as utility sinks in corridors and outbuildings, they are also a practical addition to any commercial or even domestic setting. 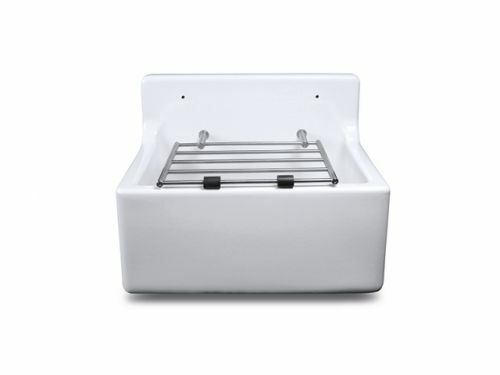 Whatever you need to use it for, a robust cleaners sink will always come in handy. Choose from our range of mop basins and janitor sinks below, or click here to download our cleaners sink brochure. A mop sink is incredibly useful in multiple business operations, especially sites such as riding stables – perfect for the tack room – or at dog kennels for washing those lovable pups. We also supply leisure centres, garden centres, schools and colleges up and down the country with our versatile range of cleaners sinks, capable of withstanding frequent/heavy use. Those who work in the great outdoors are also regular customers, especially those with a need for a mudroom sink that’s capable of tackling dirty boots and bringing them back to their best. 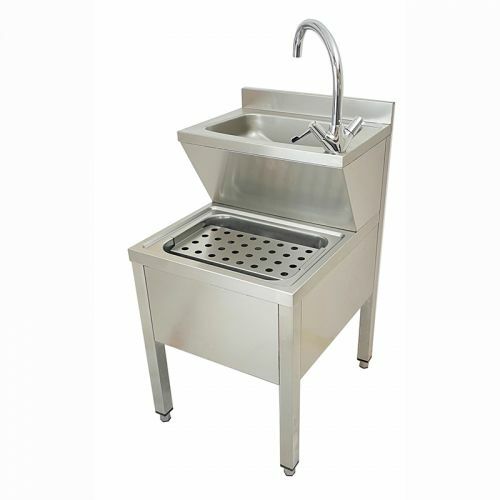 The Stainless Steel Boot Wash sink is floor mounted and includes a support rail, footrest, boot cleaning brush, water supply hose and valve designed specifically to spruce up muddy boots – a smart and practical item for any utility or boot room. A separate cleaning trough used for items other than everyday dishes helps to keep a sanitary environment in any location. Garages and outhouses may also benefit from a workshop sink, eliminating the need to keep traipsing back and forth to the main sink while washing or working on the car or carrying out other grubby projects. For any establishment serving food, a restaurant mop sink is a standalone must-have, ensuring your premises remains sanitary with no risk of cross-contamination where crockery is washed. We have a large variety of cleaners sinks with grates as well, helping to ensure optimal hygiene while buckets are placed on top. If you’re hoping to purchase a robust stainless steel utility sink for heavy-duty usage, we provide different sizes for you to choose from. If you’re looking for a stainless steel utility sink with legs, we’ve got plenty for you to choose from – with or without taps, depending on your needs. Whether you require a cleaners sink with legs, a freestanding utility sink unit, or one which is wall-mounted, we’re sure to have the perfect solution for you. 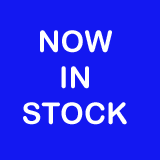 Please browse our full range, and if you’d like further advice please contact us today. Our friendly team are experienced at handling all manner of enquiry, and will happily help you find the most functional and effective solution to match your budget.